This year you haven’t heard it: oh how I love a facial oil. And this is a gem from a brand I got to know quite recently: Votary, which makes this post that little bit more exciting. Now, my personal battle navigating between aggressive, drying blemish fighting and hydrating, nourishing age fighting products is known to an extent here (and I’ll publish a full piece on it soon), but this little hero addresses just that. Tamanu oil and salicylic acid, make it nourishing with blemish fighting properties. Votary Blemish Rescue Oil’s 2% salicylic acid goes down deep in the pores dissolving dead skin cells and exfoliating all the way to the surface. This helps with the congestion that usually brings spots about. And the blend of natural plant oils including rice, oat, tamanu and rosemary essential oil aids quicker recovery and promotes balance. It’s a great targeted, non-aggressive solution which is a bliss to use: it doesn’t feel heavy or greasy, and even though it’s for use on the spot, I feel it works wonders on the whole face or areas, like the chin, to help prevent breakouts. And for that, I really want to get the Votary Clarifying Facial Oil, as I think it would be a very powerful duo for problematic skin. The Votary Blemish Rescue Oil costs £35 for 15ml (it goes a looooong way!) and you can find the gorgeous Votary products at Liberty – I mean, any excuse for a trip over there – or online on their site. Difficult. That’s how I’d describe my skin on the best of days. It’s rarely happy – it’s always either dryness, sensitivity or breakouts. When I was introduced to the Eucerin DermoPurifyier range I was really excited to see how it would treat my skin, as its formulated to care for skin which is being treated for acne. Always worth remembering that Eucerin caters for sensitive skin, a reassurance for me. That might not mean a lot you never got treated for acne. Treatments are usually really harsh and stripping; most non-comedogenic, oil free products do not nourish the skin properly. The result is angry, flaky skin which is far from ideal. I had a fab skin analysis with Eucerin and they got me a whole new routine to tackle my concerns. Very mild and gentle on the skin, the Dermo Purifyer Clenaser does not contain soap or fragrances. It lathers well and does a great job removing makeup. The Toner is slightly exfoliating with lactic acidd and it’s not drying. Skin feels comfortable and fresh after use. The Adjunctive Hydrating Care day moisturiser is a star. With SPF30, it feels thicker than my usual, but is well absorbed by skin and behaves very well under makeup. It contains licorice extract, an anti-inflammatory, carnitine, which helps reduce sebum and moisturising decandiol. The Active Night Care moisturiser has extra strong ingredients to work while you rest and feels good on the skin. I wake up fresh and plumped. 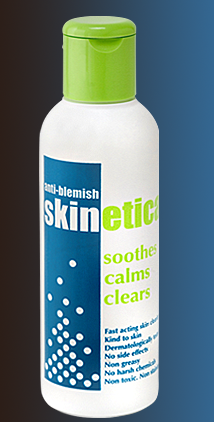 The lactic acid works to exfoliate and moisturise at the same time. For those extra stubborn spots, the Active Concentrate gel, also very mild and not tingling, contains lactic acid and decandiol and can be used many times a day. Finally, for a more deep cleanse, there is the Scrub, which is not too abrasive but has a good grit to it. It also contains lactic acid and pore-refining particles that get deeper into pores. Overall my skin welcomed the regime. Extra props for the toner, which is also helping me with pigmentation (I suffer from dark hormonal spots during the summer) and uneven skin tone. In the few weeks I’ve been using it, the spot is visibly lighter. You can read all about the range at the Eucerin website, and you can get them from retailers around the country, including Boots and Superdrug. One of the brands I discovered in 2014 was S5 Skincare, which creates organic cosmeceuticals. Now that I’ve tried another product, I am truly sold. 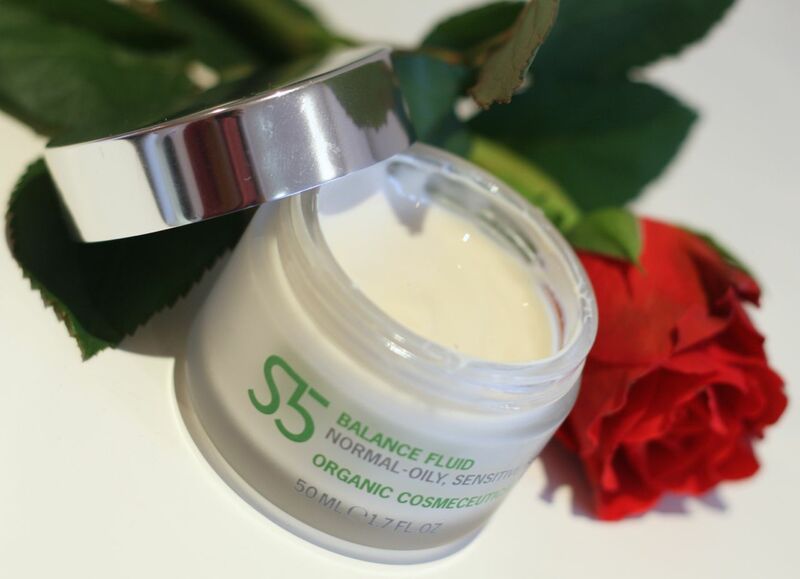 The S5 Balance Fluid is a face moisturiser that has anti-ageing properties as well as anti-blemish ones, which for me, is the perfect combination. I was really excited to receive Skinetica – the promise to fight acne alone makes it go half way up in my good books! Having struggled for more than half of my life time with acne, this is an extremely touchy subject for me. Heart pouring posts have been written only to never see the light of day. Maybe one day they will…. But for now, let’s talk about Skinetica, an anti-blemish treatment with no harsh chemicals, no side effects, gentle to the skin, non-toxic, non-staining and non-greasy. Yes, sounds way too good. The active ingredient is Quaternary Ammonium Chloride with a Sylyl base, to stick to the skin – none of the usual benzoyl peroxides and salicylic acids. Basically, it means that this is straight from a chemistry lab to work at a molecular level on the skin (the particles are really small and absorbed quickly by the skin, staying put) and killing the bacteria. The packaging is simple: a plastic tube, flip open top, nothing fancy, all functional. It looks like water, the smell is almost nonexistent. The indication is to apply to clean skin (if you apply over a product, it won’t work!) with a cotton wool pad twice a day and let it dry. Once dried, it is chemically inert (it won’t come off or dilute) and you won’t feel anything. You should re-apply every 12 hours, as this is the time one application will keep working, even if you wash your face. I use it morning and evening – I apply it in the morning and after the product is completely dry I put my make-up on as usual and at night, I cleanse my face, let it dry and then apply moisturiser. I have been using it daily fora month now. This product caught me at the bitter end of my worst breakout in eight years. Yes, awful. I stopped the antibiotics and topical solution (which didn’t seem to be doing much anyway) and in a brave move, stuck to this. Just this. I must point out that my spots are usually quite deep, medium to large in size and extremely persistent. So, does it work? Well, for me, I felt it really made spots go away quicker. They don’t become sore and angry anymore. I usually have the type of spots that takes weeks, sometimes months, to vanish, and occasionally culminate in a yellow tip (eeew, I know). I could really feel a difference with this product..
Do I think it prevented new spots from coming up? Well, I cannot say for sure. I tend to think it did. I certainly have less than I had at the time I started – it is worth pointing out that was an unusually bad patch for me, but the improvement could well be due to the product. I still have a couple, but who knows how it would be now? Having said all that, what really makes like this even more is that it’s really gentle to the skin. In a sad way, I am used to harsh products – peeling, tightness and redness have been part of my life for a long time. With this product, I had nothing. It has been great; my skin is not dry, irritated or sensitive – just normal. Also, for the first time in my life, I am using only one acne related product on my face on a daily basis. This, for me, is quite something. At the retail price (under £10 for one bottle, including p&p), there is no way you shouldn’t try if you suffer from blemishes – superficial or deep. I really recommend it, it is really worth a go – and that is coming from someone who tried everything. I mean EVERYTHING. And my skin seems very happy with it. I will purchase another bottle to keep using, as regular use will have no long term undesired effects – anything to keep the spots at bay, better if it is only one product that works and is not aggressive! You can find more information about the product and purchase it here. Sometime ago, I went to the Elemis freshskin event. It was a lovely evening and I left with some great products to try, and met some lovely people. When trying skin care, I like to use for a few weeks to have a real sense on how my skin likes it, how it reacts to the goodness slapped on it, and if I can see an improvement. I have been using four products of the freshskin Skin Clear line for the past few weeks now and they have treated my skin very well. If you have been here before, you probably know that although I am not that young, I suffered from severe acne and to this day, I can suffer from breakouts and this is a very touchy subject for me. This event came at a time I had been very upset about the bad breakouts appearing. What I thought of it: smells very fresh and give you the impression of a really clean skin. A small quantity goes a long way and the smell is fresh, without being overpowering. It does not dry my skin. Key active ingredients: extract of iris, zinc salt and vitamin A. What I thought of it: has a rich consistency, but not too much. What I really like about this is that it feels nourishing, is absorbed by the skin very nicely and doesn’t feel greasy. Good to use under make up. Key active ingredients: seamat, shea butter, bergamot. What I thought of it: really like this! It feels a little bit tingly when applied over the spot, and has a calming effect. It doesn’t dry the area, so it can be used over and over again in the same place. Key active ingredients: extract of iris, zinc salt, vitamin A. What I thought of it: Can also be used under make up, actually, I used this more during the day than overnight!!! Feels like a good overall healing and maintenance for the whole face, opposed to the “on the spot” gel. Key active ingredients: slow release salicylic acid, renovhyal and vitamins C & E.
My skin has really calmed down, it is quite visible. Admittedly I’ve been on medication too, but it is the first time I take meds and my skin feels nourished, not dry and flaky, and more plump, healthier. For me, it seems like a great range to maintain your skin under control, healing and preventing “daily” spots. Of course, if you, like me, suffer(ed) from severe acne, you might have to resort to powerful oral medication or more aggressive topical products. This range, however, seemed to keep my skin happier, even though it was receiving a more aggressive treatment. The packaging is simple, nice and the blue colour also appeals to the boys! The smells are subtle and herbs-like. All products are free from parabens, SLS, SLES, DEA, mineral oils, artificial colours and silicons. I do recommend it, not only for younger skin, but also for adults who may still suffer from acne and need a non-aggressive daily treatment line. If you are in this situation, well worth a go, I do know how difficult it is to find something that will agree with problematic skin. I am keeping them on my daily routine, and I am fully stocked, as I won their competition after the event. Lucky me! All images are from the Elemis website, where you can also find more information on the products reviewed. The Freshskin range from Elemis is aimed at caring for young skin – late teens to mid-20’s – and you ask: What the hell were you doing there Dani? Very funny, but as I mentioned before, I always suffered from problem skin. From severe acne when younger to breakout bouts to this day, this has always been a touchy subject and the reason I need to be very careful when it comes to skin care. I will do anything I can to get rid of the blemishes, but making sure my skin is nourished, plump and radiant has been a growing concern in the past years, as the treatments can be quite aggressive. The Clear Skin line, part of their wider freshskin range, targets the problems usually associated with adolescent skin: spots and oiliness, while also caring for the skin. This range helps to look after those problems on a daily basis. I left with some products and have been using them – review will come soon – but attending their event was really interesting and informative. First, everyone was really lovely. Seriously friendly and chatty! Upon RSVP, you could choose two treatments from hair, manicure, mini facial and make over. Extremely difficult choice here… After having a really hard think, I went for hair and facial. Myface cosmetics – check out the blingtones! On arrival, there was bubbly (again, the best start as far as I am concerned! And that got replenished plenty), cupcakes and lots of conversation going, followed by a brief but comprehensive talk about the range by the gorgeous Emer Gillen from Elemis, who is a therapist and a trainer for the company. After that, we headed downstairs for the treatments. I had the mini facial, using products from the line, done by Emer herself! It was refreshing and relaxing. I woke up the next morning with really happy skin, calm, soothed and radiant. Then I had my hair styled by Freya from Electric hair salon. She gave me amazing waves and volume which survived a night’s sleep and still looked lush the next day. Her advice prompted me to buy a curling wand, which I still have to master! I also had a chat with the ladies from Myface.cosmetics, which were offering make overs! I was very impressed with their Blingtone eyeshadows, they are very sparkly and highly pigmented. Manicures were being offered using Essie polishes, which created a dark pink shade named after the Elemis range. I left with a goody bag containing the skin clear overnight serum, mattifying moisturiser, purifying face wash and the treatment gel, as well as a freshskin discovery kit, a mini-size kit of their line for young skin, nail transfers and an eye shadow duo from Myface cosmetics, which I will use to create my next eye make-up look challenge! As if the evening wasn’t fun enough, after a few days I received a tweet saying I was their competition winner, and I not only I got a bag full of goodies, but I also got a face and body treatment at the Elemis Spa, which I will be redeeming very soon! Yay!